Immersed in the green hills of Monferrato, Unesco heritage, my home will give you peace and serenity in harmony with nature. You can dine in the sunset light and play your kids in the garden in peace. You will have a tree-lined park of 3000mq, a panoramic outdoor pool with solar shower and equipment, sandblasting, swings and slides for the little ones, an outdoor porch complete with kitchen and barbecue. 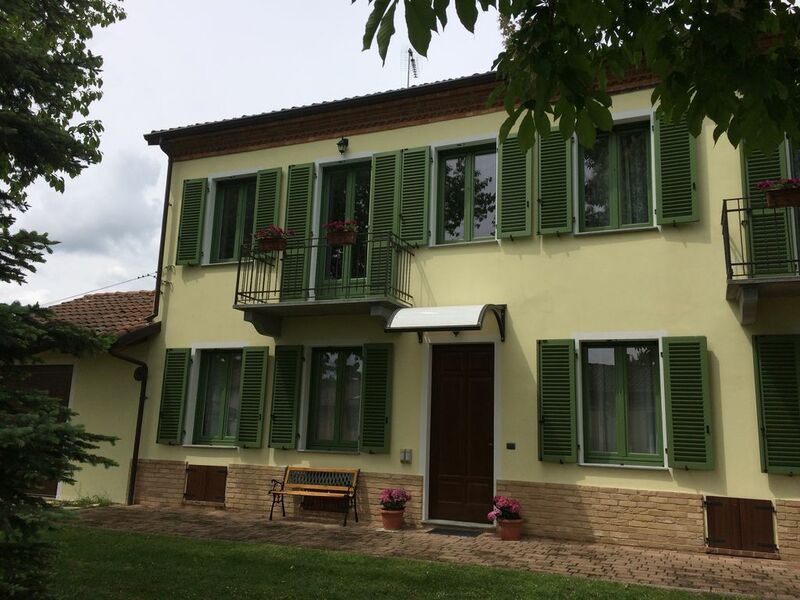 Recently renovated, the house consists of a large kitchen, bathroom and reading room on the ground floor, double bedroom, bathroom and triple room on the first floor. The typical features of the rural buildings of the area (wooden ceilings or exposed bricks, terracotta floor) have been preserved without sacrificing the comforts that can make the difference between a successful holiday and a holiday so (air conditioning, heating in floor, double glazing and mosquito nets). The decor is cured and of quality, including dishwasher, microwave, traditional oven, fully equipped kitchen. I provide the bedding and bath linen needed for each guest.